LOVE THIS OUTFIT!!!!!! That's all I can say. The roses are so beautiful and remind me of Disney roses. 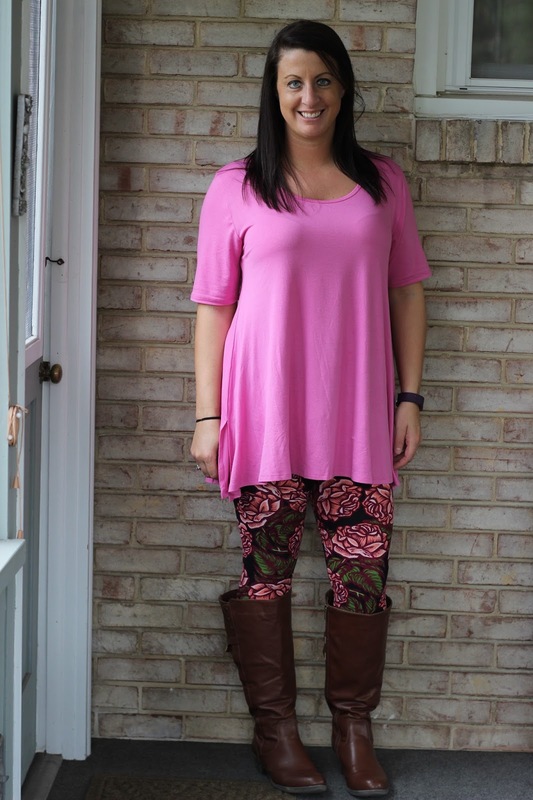 They go beautifully with brown boots and then of course my favorite Perfect T in pink from LuLaRoe! Speaking of pink things... Ummm how cute is this? Mother's Day is coming up fast and this is such a great gift. It's actually how I save money by doing my own pedicures. 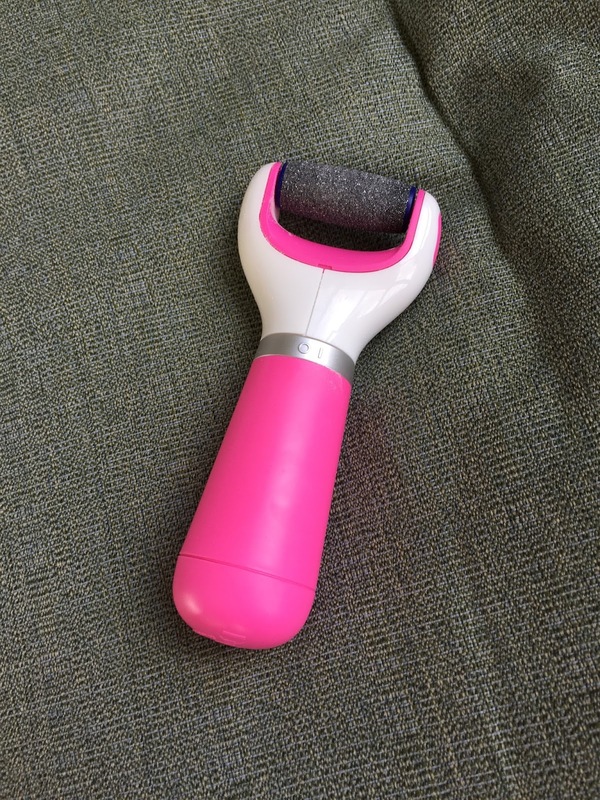 It's the Amopé Pedi Perfect Electronic Foot File with Diamond Crystals. I love how well it buffs thick skin and it leaves my feet so smooth! It definitely extends the life of my pedicures. You can get it at Target, Walmart, Walgreens, Rite Aid, and Amazon!